Posted in Bright Ideas / Blog on February 8, 2016. If you help clients with their digital marketing efforts, one service you should take a look at offering is Reputation Management. Why is Reputation Management so important for small- to medium-sized businesses? Reputation Management is one of the most important digital marketing strategies you can implement for your clients. Many businesses still think they can ignore online reviews — and are secretly hoping that reviews don’t matter or that they’ll quietly go away. Many business owners have been burned by a customer who left a bad review online and it has tainted their view of the importance of online reviews. To them reviews are just grumpy people complaining, but as a digital marketer, your job is to explain to your clients why they need this service. Why is Reputation Management so important for SMBs? Over the years there has been a steady increase in the number of rating and review websites. Additionally, almost every online business directory – from Yelp to Facebook – allows almost anyone to say virtually anything about a business to everyone on the Internet – regardless of whether what they’re saying is true or not. These review rating websites even show up in search engine results for all the world to see. Reviews and star ratings matter because they can influence future customers. Think about it. When you want to purchase a product or service, what do you do first? Chances are you do online research and look at what other people are saying about the product or service you’re interested in buying. Yes, you probably even read online reviews! And if you were to ask your clients how they personally buy products or services, chances are they’re looking at reviews, too. 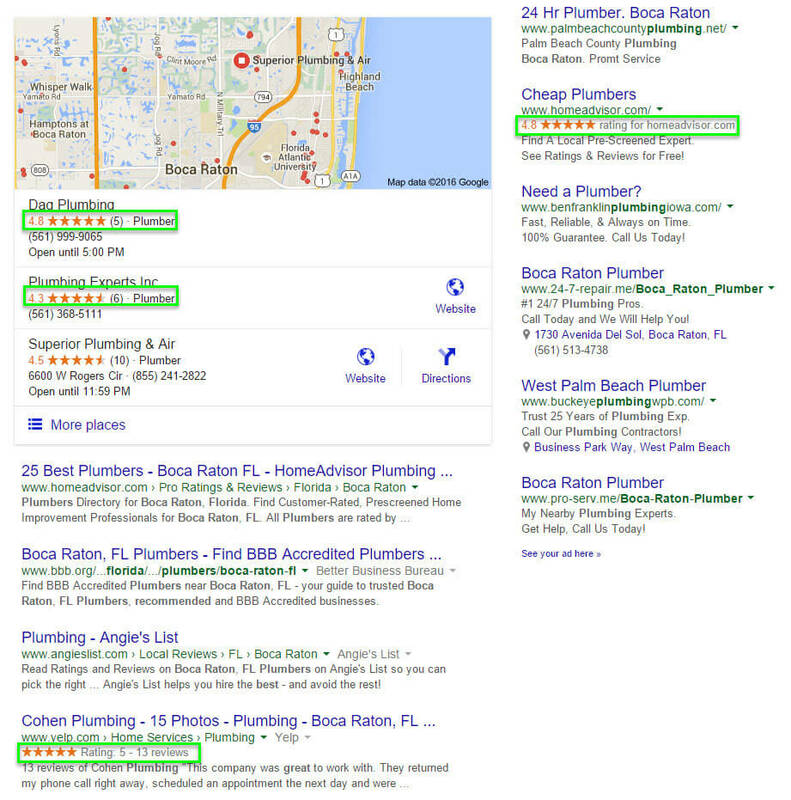 Actually it’s hard to avoid reviews because those stars show up front-and-center in the search engine results pages (SERPs) when people search on Google – reviews even appear in the ads! A rock-solid reputation is a valuable asset for any business to have. In a few years, reputation management will be essential to the daily operation of virtually any business. Managing a business’ online reputation requires a long-term strategy. So how do you show the value to potential clients and what can you do to help them manage their reviews? If you have a potential client that you feel could benefit from Reputation Management, the first thing you should do is run a Reputation Manager report in BrightLocal. This report pulls up all the online reviews – good and bad – that it finds about a business. Often, when faced with the reality of their reviews on paper – business’ can’t help be take notice. Next, talk with your client about the new consumer buying process, you know, how people do research before they even give the business a call. Note: You may get the, “I get most of my business through referrals,” answer. Remind them that even if a business gets referrals – which is great – THOSE people will still go online and do research on their own about the business. If you think about it, referral marketing is 1:1 whereas reputation management is 1:1000’s. Which would they rather have? Which is a more valuable asset? Once you get the client on-board with having you help them with their reputation management, you need to create your plan and execute. First sign up for the online directories and review sites that are relevant to that business. It’s best to keep things simple and set up a Gmail email address and use the same login and password for all of the sites. There are also several review monitoring websites and platforms that you can sign up for to make things easier. Just do a search for “reputation management software” and you’ll find some of the top ones listed. Next, make arrangements to talk to all the employees at the company about the importance of giving their customers a great experience. (Now, I don’t mean ho-hum, I mean GREAT!) Make sure the entire team knows that you’re going to be checking the business’ online reviews regularly. Then follow through. If your client’s team knows that you’re watching reviews, they will try even harder to make a good impression on their customers. Learn how to create a plan to encourage customers to leave feedback & online reviews. You will then need to create a plan to solicit and encourage customers to leave feedback. There are several ways to go about doing this. One is for the business to collect customer email addresses and send you an email list of their new clients/customers on a weekly basis so you can enter them into your email marketing campaign and schedule the emails to be sent out. First, determine when the email should be sent out after the purchase and then create an email that thanks the customer for their business and politely ask for a review and provide them with a list of at least three of the preferred review sites (Important: Make sure that the link you provide goes directly to your client’s business page on the review site and not just the site’s home page). For example, send them to www.facebook.com/earlybirddigitalmarketing — don’t just say, “Leave us a review on our Facebook page.” If they have to hunt for it, they won’t leave a review (Make it easy). If you have design skills, design a small “Thank You for Your Business” card or flyer with the URL of the preferred review websites and have the employees freely pass them out or send them to their customers. Another way to get the word out is to put a review page link at the bottom of each employee’s email signature, include on the company website, letterhead, invoices, brochures, flyers…you name it. Everyone at the company should encourage happy, satisfied customers to leave reviews. Next, pay attention to the reviews about the business. Keep an eye out on the top review sites, like Yelp, Google My Business, TripAdvisor, Citysearch, etc. Most review sites let business owners “claim” their business’ page so they can engage with people who leave reviews – either by thanking them for their fantastic review or by gently telling the negative reviewers that you’re sorry and you want to talk with them offline and make things right. Make sure you claim these listings so you can check these sites daily and take action when ANY review is left for the business. Work with your client to create a list of standard responses. For instance, if someone leaves a 5-star review, what does the client want you to say? If a negative review shows up, how does the client want you to handle those reviews? Guide them on the right path for responses and keep a FAQ sheet with the canned responses so you can respond immediately after a review is left. Remember the more positive reviews you get, the more trustworthy your client will be to prospective customers – which will lead to more sales. This will make you a ROCK star in the eyes of your client. The truth is, businesses simply can’t afford to fall behind this curve so get your clients started on reputation management today! Sherry Bonelli, Digital Marketer and Presenter/Speaker, has been a digital marketing professional since 1998. After launching her first ecommerce website in the late ’90s, Sherry has been featured on the TODAY Show, ABC News, CBS News and other newspapers and radio outlets. She is currently the owner of early bird digital marketing, a full-service digital marketing agency located in Cedar Rapids, IA. She can be reached by visiting Earlybirddigitalmarketing.com or by calling 319.409.3287.